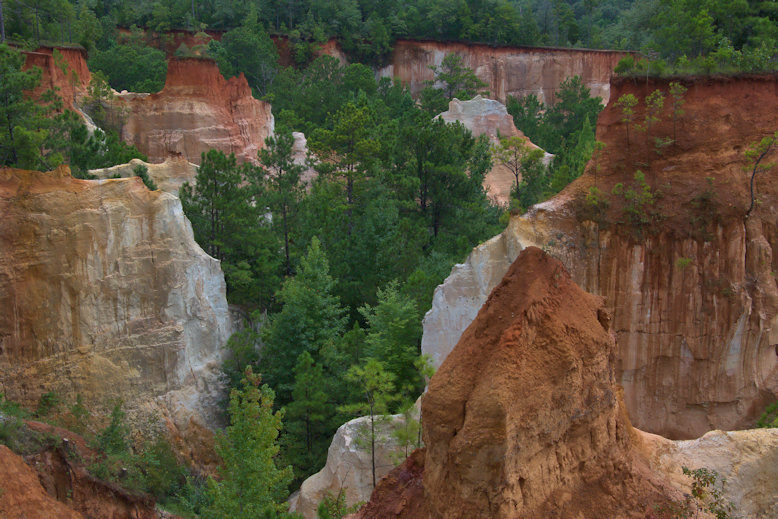 Providence Canyon is actually a series of canyons believed to be named for Providence Methodist Church, which still stands near the state park entrance. 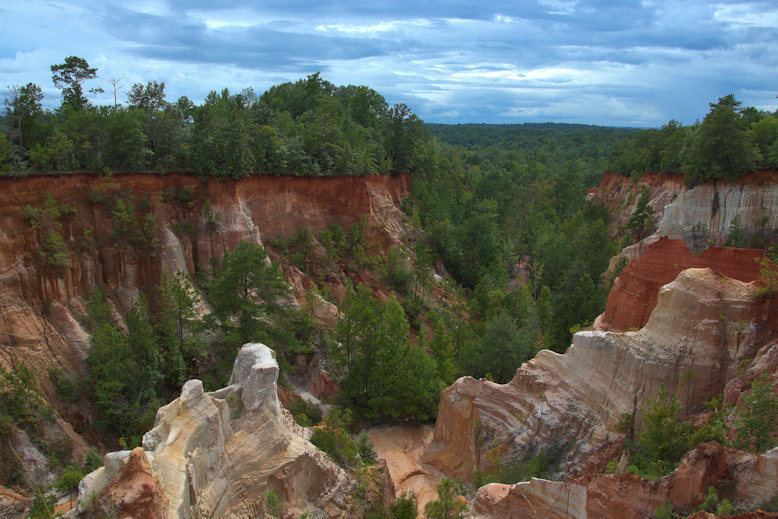 Also known as the “Little Grand Canyon”, it was formed by erosion in the early 19th century. Pioneer farmers clear cut much of the land and did little to mitigate the effect of rainwater runoff. 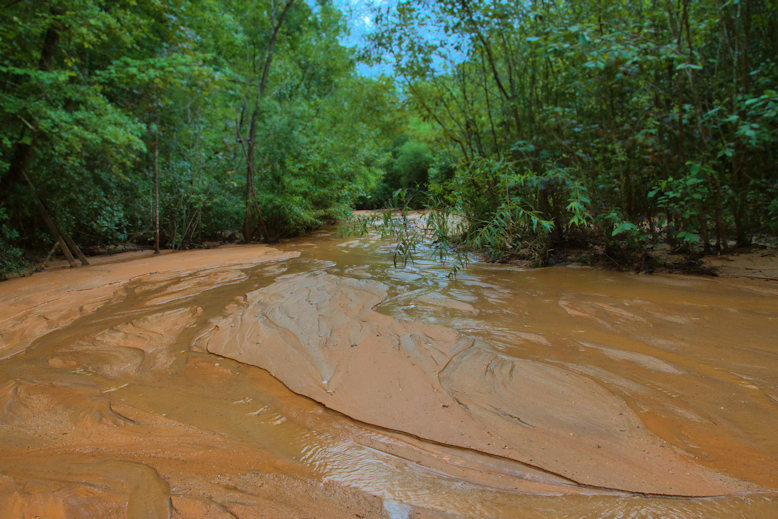 The deepest gullies are about 150 feet from rim to floor. 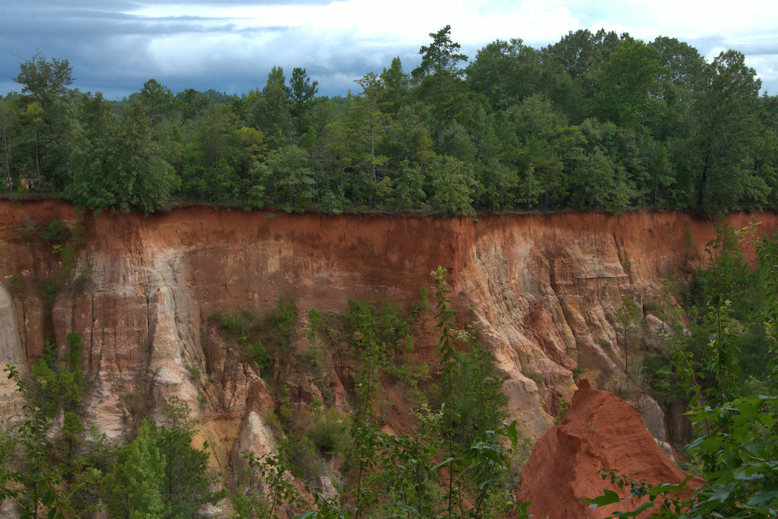 It’s considered one of Georgia’s Seven Natural Wonders and is one of my favorite parks in Georgia. I just visited there a few weeks ago and this place is beautiful. I can’t wait to visit again in the fall, when it is a little cooler.